Published online by The Blavatsky Foundation. by The Theosophical Publishing House, Adyar, Madras, India. H. The "Recess" and the "Bricked Frame"
J. 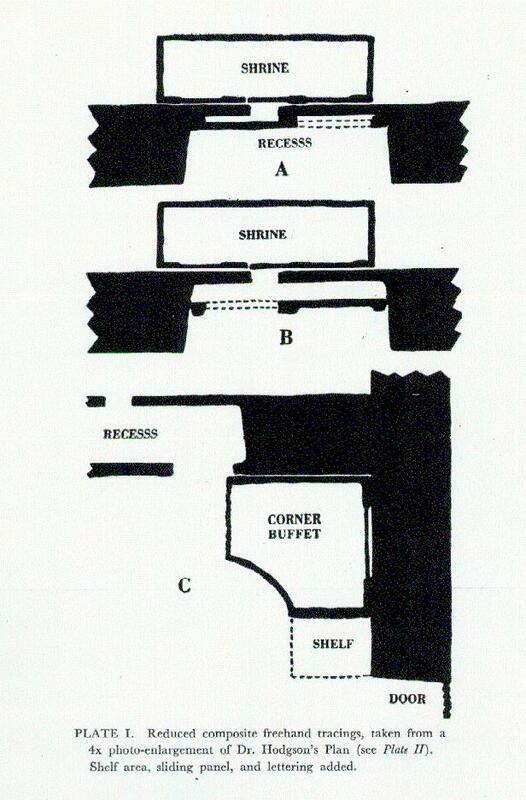 "Traces of the Hole in the Wall"
Composite Tracings Showing Shrine, Recess, Door, Etc. 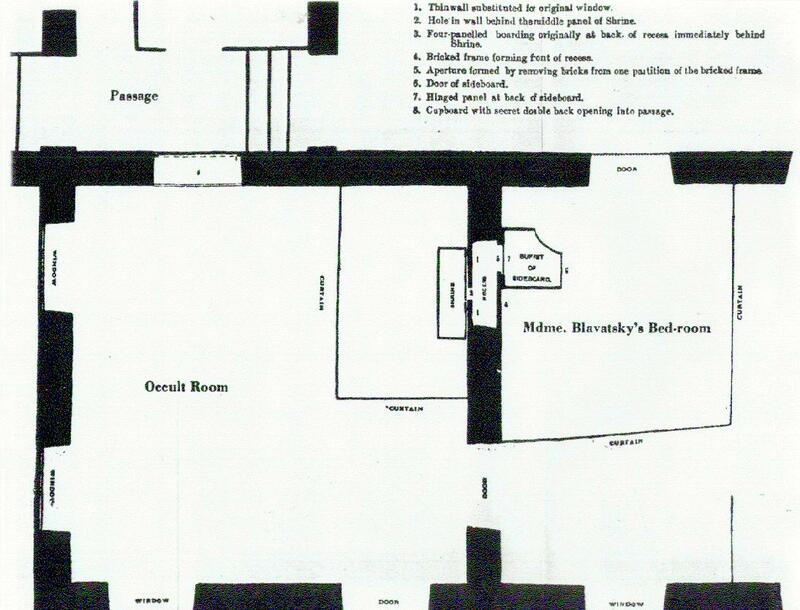 Richard Hodgson's "Plan of Occult Room, With Shrine and Surroundings"